Adoor, in some cases spelled Adur is a noteworthy metropolitan town in the Pathanamthitta area in Kerala State. 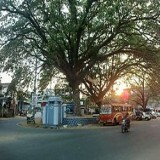 Adoor is the one of the Revenue Divisions of the District Pathanamthitta . Adoor was beforehand in the Kollam District.The region is situated between the significant urban areas of Trivandrum and Kochi in south Kerala.